Canada is the second largest country in the world by land mass and the 10th largest economy by nominal GDP. At around 35 million in total population, Canada is a country that has consistently punched above its weight class economically. The extensive border with the US has helped as the two countries have a robust trading environment. The combination of solid infrastructure, rule of law and a highly educated population, makes Canada a great place to live and work (if you don’t mind a bit of snow in the winter). What is missing from this North American country is a robust innovation-driven economy. Access to capital, always high on the list of fostering creative entrepreneurs, is an area Canada can do better. According to one alternative finance expert, a lot better, as Canada’s crowdfunding exemptions are dead in the water. Crowdfund Insider recently spoke with this individual who, because of their interactions within the securities industry and crowdfunding sector, requested not to be named. If you are not in the habit of working in the Canadian securities realm it can be a convoluted and confusing labyrinth of rules and regulations. There is no national securities regulator, everything is managed at the provincial level. Yes, the US is encumbered by a litany of state rules on top of federal exemptions but the Feds have the power to override the states in certain situations which means a more manageable playing field (at times … not always). 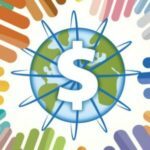 Crowdfund Insider’s update on the Canadian crowdfunding environment is below, along with several suggestions that regulators can embrace, to make things more workable for early stage companies. Crowdfund Insider: Please describe the Canadian / Provincial approach to regulating investment crowdfunding? 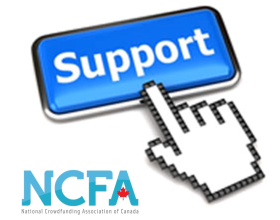 Canada has three specific crowdfunding exemptions: (1) The “integrated crowdfunding exemption [NI 45-108]; (2) the startup crowdfunding exemption [CSA notice 45-316] and the newly adopted (3) startup business exemption [ASC Rule 45-517] that was adopted in Alberta today. Canadian issuers can also rely on the accredited investor exemption and the offering memorandum (OM) exemption, which is similar to Regulation A+ in the US to raise capital through crowdfunding their securities. These crowdfunding exemptions are not available across Canada but only in certain provinces. The integrated crowdfunding exemption is available in Ontario, Saskatchewan, Manitoba, Quebec, New Brunswick and Novia Scotia. The Startup crowdfunding exemption is available in British Columbia, Saskatchewan, Manitoba, Quebec, New Brunswick and Novia Scotia. The startup business exemption is available in Alberta (Nunavut had been looking to adopt this exemption as well when introduced in 2015, but has not done so as of today’s date). These crowdfunding exemptions are not harmonized and vary considerably in terms of which issuers can use the exemption, offering limits, investor investment limits, disclosure requirements, and post raise filing requirements. As a result, issuers in Canada do not have one clear crowdfunding road map. It is too early to know how the startup business exemption will be received by issuers in Alberta as it was only adopted this week. The start-up crowdfunding exemption which came into force in May of 2015 has had modest use in the participating provinces. There have been no offerings under the integrated crowdfunding exemption which came into force in January of 2016. Crowdfund Insider: Ontario is the economic center of Canada, yet no one is using the Integrated CF exemption since it was adopted. Why? There are no funding portals registered as “restricted dealer funding portals” under the integrated crowdfunding exemptions. Registered dealers can amend their registration to include sales under the integrated crowdfunding exemption and there may be one registered dealer who has done so, but so far there are no active funding portals with issuers using this exemption. Using a cumulative threshold pretty much guarantees most issuers considering using the exemption would require audited financial statements. This wouldn’t be so bad on its own, but if you raise capital under the integrated crowdfunding exemption once (regardless of the amount raised or type of security offered), the issuer is required to provide financial statements to its shareholders and regulators annually. Whether these annual statements are required to be audited is based on determining each year how much an issuer has raised to date. Issuers are also required to file other continuous disclosure documents such as annual disclosure of use of proceeds, and if resident in or raising capital in Ontario, New Brunswick, and Nova Scotia, notice of key events. There is no reasonable sunset clause to these continuous disclosure requirements. An issuer must either become a reporting issuer, wind-up or dissolve its business, or have fewer than 51 security holders worldwide before it can apply to stop these requirements. Could you imagine raising $500,000 under the integrated crowdfunding exemption using a debt security and then be caught for the next 20 years of your business filing audited financial statements with securities regulators? It would be a losing proposition as the cost of ongoing compliance alone could outstrip the amount actually raised. Crowdfund Insider: Are there any types of businesses that may be inclined to use the exemption? The integrated crowdfunding exemption is best suited for: public companies, companies considering going public in the near future, funds (other than investment funds), real estate limited partnerships, and other businesses either continually raising capital or which have a limited life span. All of these companies can take into consideration and absorb the cost of raising capital under the exemption and the cost of the ongoing continuous disclosure requirements. Its a very narrow band of issuers, which frankly, are already being served by other existing securities law exemptions which is why you have not seen any uptake to date by these issuers in using the integrated crowdfunding exemption.